Time and again on this blog, I’ve talked about the adventures that are possible north of the Arctic Circle. Whether it’s dogsledding across a frozen landscape in the dead of winter or white water rafting on midsummer, there are so many options that it would be impossible to cover them all. 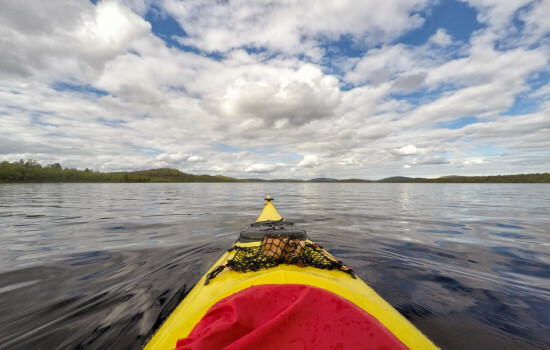 Kayaking on the glassy water of Menesjärvi, near Inari in Finnish Lapland. 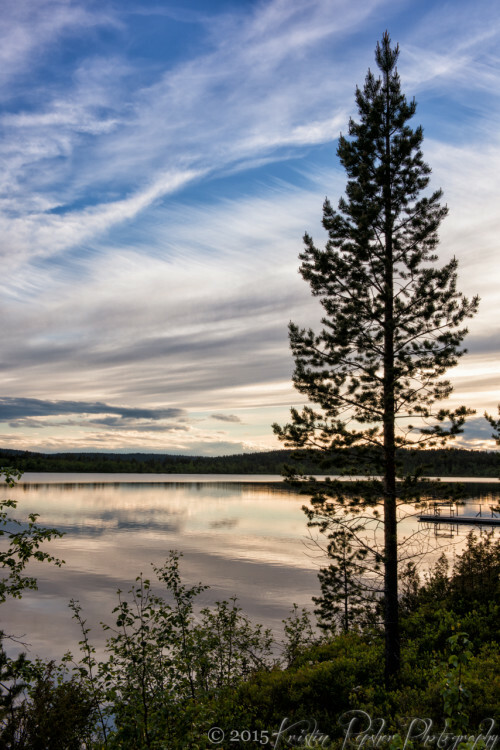 Even though I knew doing everything would be impossible — especially in a timeframe of only 7 weeks — my goal on my trip to Lapland last summer was to do as much as possible. In Finland alone, I visited nine different destinations, all as research for my upcoming Guide to Lapland and Northern Norway in Summer. Combine that with the midnight sun, which kept me up until 1 or 2am most nights, and you have one hell of a tiring schedule. 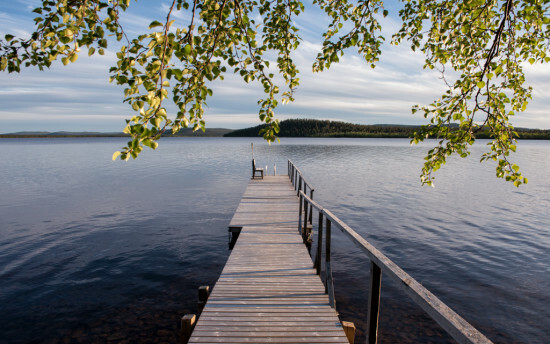 By the time I reached Hotel Korpikartano, nestled on the banks of Lake Menesjärvi some 30km west of Inari in Finnish Lapland, I was in dire need of a break. I’d experienced the adventurous side of Lapland to its fullest; now I wanted to experience the calm, relaxing side. I wanted to find somewhere where I could sit on my own and ask “Ahhh, how’s the serenity?” to no one in particular. You don’t get much more serene than that. Being in that frame of mind, there really was nowhere better for me to be than Korpikartano. 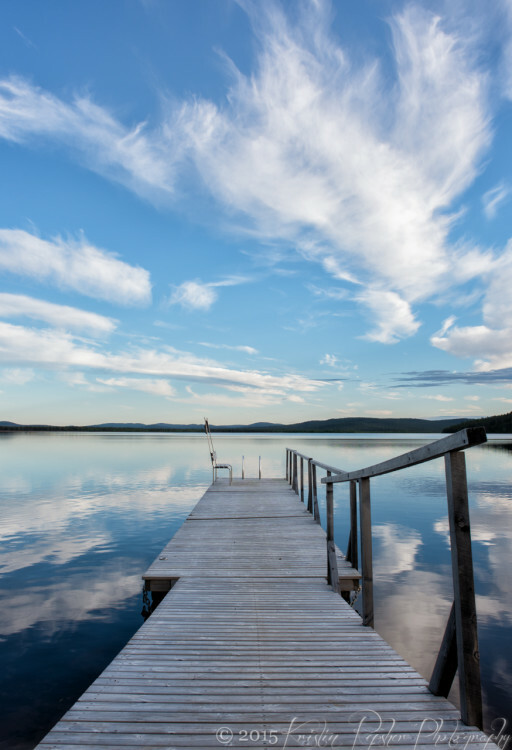 As soon as I arrived and glimpsed the perfect, calm waters of the lake, I felt more relaxed. And, after having a long chat and a cup of blueberry tea with my hosts Anne and Timo, I felt at home. Of course, I wasn’t the first to feel this way. I’m sure the thousands of other guests that visit the shores of Menesjärvi each year would feel the same, but before any guests ever arrived, Korpikartano was known by another name — Menesjärvi Sami School. 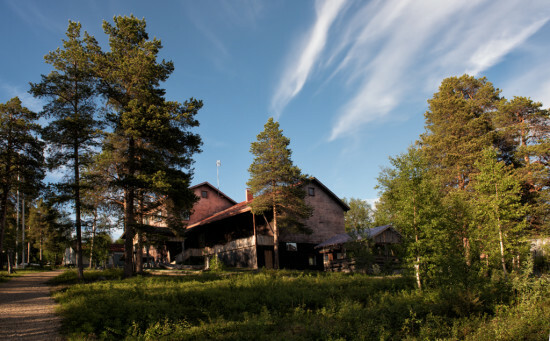 That’s right — instead of being built as a wilderness resort, Korpikartano was a boarding school built in 1954 to bring together Sami children from distant villages. Korpikartano, hiding in the woods. By the standards of modern-day Western society, the first few years at the Sami school would have been hard-going. There was no electricity to help ward off the chill of winter or to light their rooms as they read in the dead of polar night. That said, the conditions weren’t anything new to the people that called Lapland home, since many were still nomadic at the time of the school’s founding (since it wasn’t until the 1960s that the snowmobile revolutionised reindeer herding and the Sami way of life). 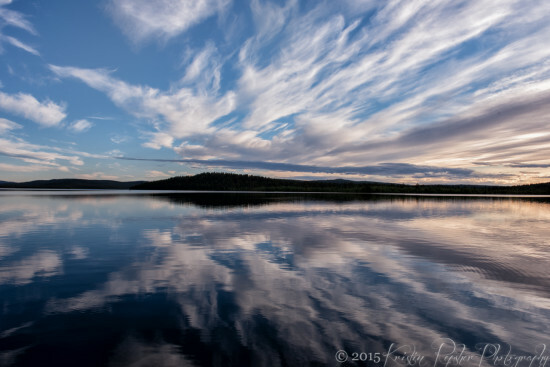 In fact, the grey skies that dogged much of my journey cleared almost completely during my days on the lake, so the midnight sun that I saw there was more visible than it had been for at least a week prior. Despite the fact that going anywhere near the lake required multiple layers of tropical-strength OFF! to fend off the ever-present mosquitos, I was continually drawn to the hotel’s pontoon. I loved being able to sit and watch the world reflected in the perfect glassy lake. The pontoon. How perfect is that?! 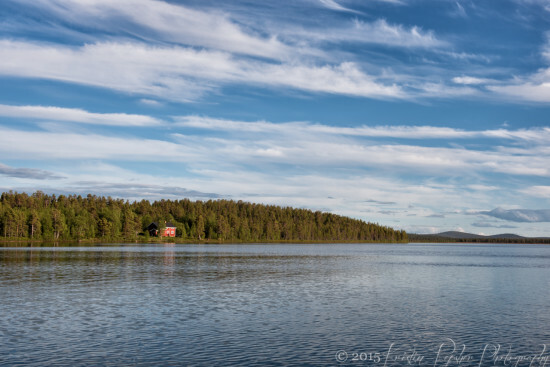 That world was perfect, idyllic Finland, with the occasional red house dotting the lake’s foreshore and some of the most impressive clouds I’d seen on my trip sprayed across the sky above. 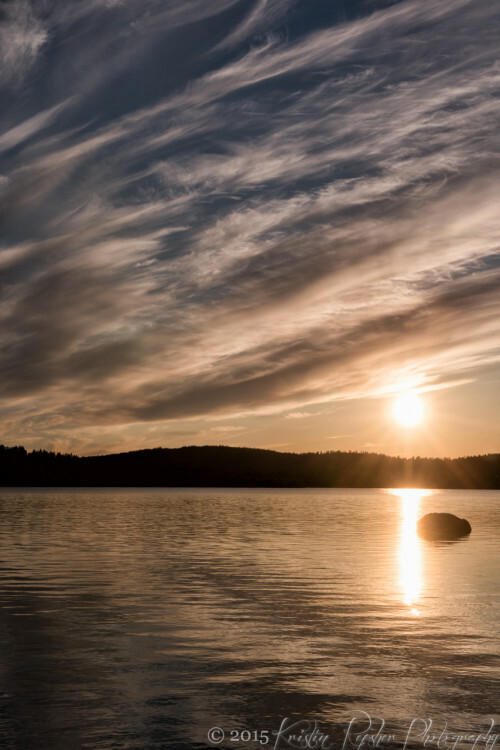 Regardless of where I was around Korpikartano, whether it was on the pontoon or traipsing through the woods looking for a more direct photo of the midnight sun, as soon as I stopped moving, I was enveloped in complete and utter silence. Another awesome midnight sun scene. You don’t realise how much you are truly surrounded by noise — be it the buzz of background electronics in your house, the clatter of trains rattling past filled with commuters, or the buzzing of cicadas at the height of a sub-tropical summer. Lapland has none of those. Yes, there are plenty of native animals, some of which are quite capable of making a racket; but come 9 or 10pm, all of those animals have gone to sleep and let silence descend on the land once more. It was disconcerting when I first experienced it, but I came to love it. 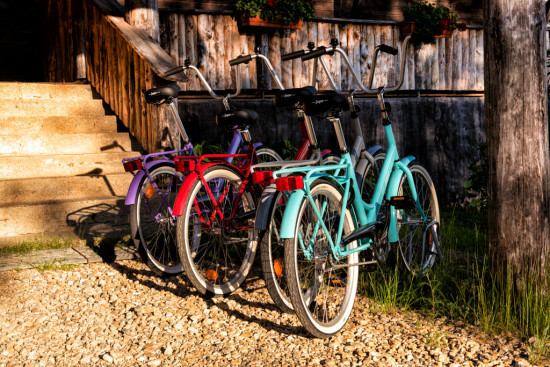 Vintage bikes parked outside the entrance to Korpikartano. 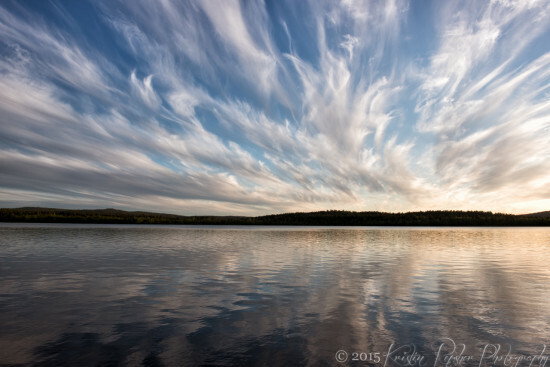 In fact, so much of my visit to Menesjärvi was intertwined with silence. In the sauna, which I could reserve for 1 hour each night for my personal use, I sat in 80ºC, alone with my thoughts (and the thick smell of blueberries from the shampoo I’d used beforehand). Being a city girl from subtropical climates, I’d never really spent much time in saunas before my first visit to Lapland in 2012; now, it was something to look forward to, something that was worthy of half an hour at the end of even the longest days. 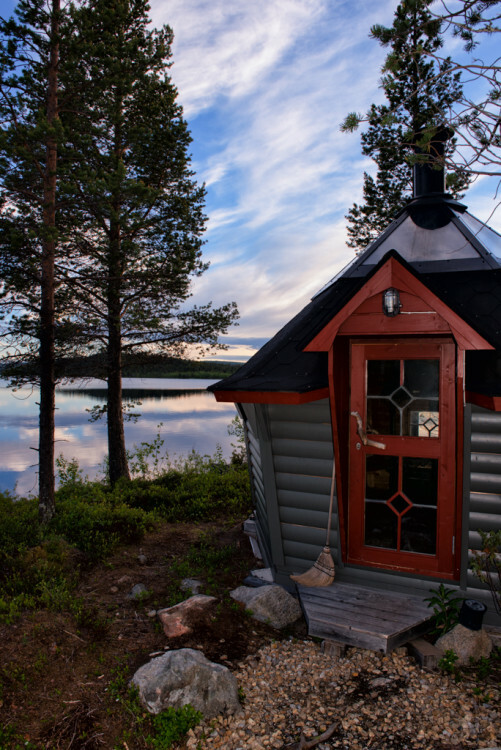 This isn’t the sauna; it’s a lakeside hut with an awesome view and a stove to keep it lovely and warm in winter. Even when I borrowed a kayak (free with all summer stays) and waved goodbye to Timo as I paddled away, the lack of sound around me was deafening. When I put my paddle down to have a drink of water, having ladled it out of the lake with my kuksa, I felt like I could hear everything happening for miles around. I turned at every splash and saw fish I never would have noticed before. I jolted at a footfall on the lakeshore, only to turn and see a herd of reindeer making their way back into the forest. 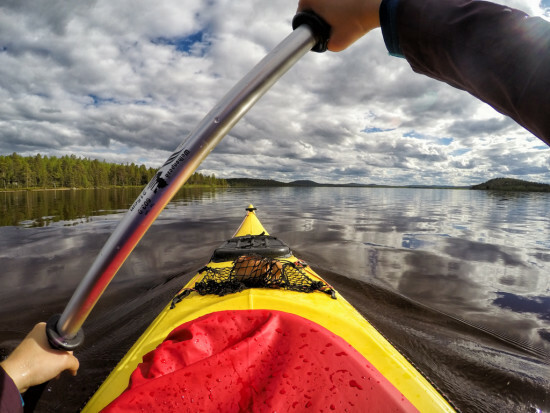 An action shot as I kayaked around Menesjärvi. Don’t get me wrong — I certainly didn’t spend my entire stay pondering the quiet around me. My relaxed schedule meant I could spend hours in conversation with both the owners and fellow guests. From Anne, I learned of the Skolt Sami, the Sami people of the borderlands with Russia that lost most of their homelands in the treaty with Russia after WWII. Many of the ~1200 Skolt Sami live in the Inari area today, and Korpikartano sells their hand-made socks and donates the money back to Sami programs. A tree on the edge of paradise. Despite feeling just a bit disappointed that I was too early for it, I loved hearing about all the berries that can be gathered in such a short distance around Menesjärvi; it sounds like it really is an all-you-can-eat buffet in late July and August. We had to make do, instead, with looking for a fungus that Anne had found but not yet picked. I found it on my last night there and had to take Anne’s word on it that it was a good one, since it looked a little bit like a dog poo! With Timo, I found a fellow photographer and adventurer who talked of summers in Antarctica, winters at Korpikartano, and many things in between. As the head wilderness guide at the hotel, he was an absolute fountain of knowledge of the area and helped me to plan the rest of my time in the Inari area in a flash. By the time we were done chatting, he had planned a return visit for me in winter, which I didn’t object to at all! Not what it looks like in winter. I was quite happy with this though! All of this combined to make Menesjärvi one of the places I remember most fondly on my trip. It was a majestic location featuring a perfect combination of activities and rest, and I feel incredibly lucky that I had such spectacular weather there as well. While I can’t promise clear skies and warm temperatures if you visit, I can say that you will feel so welcome here that you’ll be trying to find excuses to extend your visit come departure day. One last shot of the midnight sun. My stay at Menesjärvi was organised by Hotel Korpikartano, but all opinions stated here are my own. The hotel is open year-round and rooms start at €80 in the summer season (€93 in the winter season). Breakfast, sauna access, kayaks, and rowboats are included, and lunch and dinner can be purchased separately.